Rob Corradetti (the man behind Killer Acid) has built up quite a body of work over the years. He's amassed an impressive musical discography, featuring work with many different bands... Mixel Pixel, Snack Machine, Eastern Stars, Fab Fur, Pink Void.....it goes on and on. And it's through music that I first met him, so it was only fitting that he participate in this Background Noise project. I first encountered Rob when I shared an apartment in Oakland with Mixel Pixel's then-label head Aaron McEvoy of Mental Monkey Records. 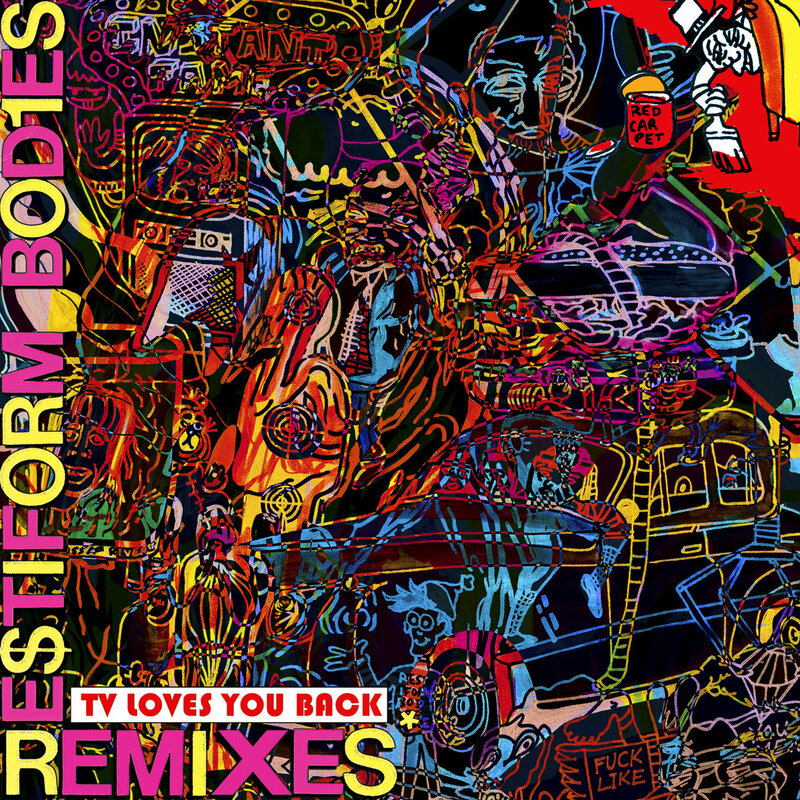 It was through Aaron that my old band, Restiform Bodies, started doing shows with Mixel Pixel, which later led to Rob not only drawing the absolutely insane artwork for our TV Loves You Back LP for Anticon, but also the corresponding (and 5 years late) TV Loves You Back Remixes artwork. Over the years though, Rob has become a hot commodity when it comes to designing album covers, t-shirts, posters, what-have-you. His trippy, colorful creations (which are very fitting with the Killer Acid name), have led to him designing tour posters for Wiz Khalifa, a t-shirt for Macaulay Culkin's Pizza Underground band, and album artwork for Mac Demarco, Ty Segall, Thee Oh Sees, Black Lips and MANY others. Oh, and he even designed a Camel cigarette pack years back that was sold in stores for a limited time. Nothing is off limits. Go see for yourself over at his website. Lollapalooza 1994 was the first one I can really remember - with P Funk, Beastie Boys, The Breeders, L7, etc. It's pretty important. I prefer to listen to instrumental, mostly zoned out stuff when I'm drawing (the basis for this mix). I also like psych rock, and weird hazy rock. Check out Rob's mix below, download it directly here, or subscribe to the Background Noise podcast on iTunes. Be sure to like Background Noise on Facebook for updates on future episodes. You can browse ALL the Background Noise episodes here.